BS Stainless is the UK's largest independent supplier of stainless steel wire, of which there are many different forms. Here we look at the three most common types. A large and ever-evolving collection of spring wire is available from stock at BS Stainless. The wire is cold-drawn to highly precise tolerances and accords strictly to the guidelines set out in EN10270-3, guaranteeing the most consistent quality. 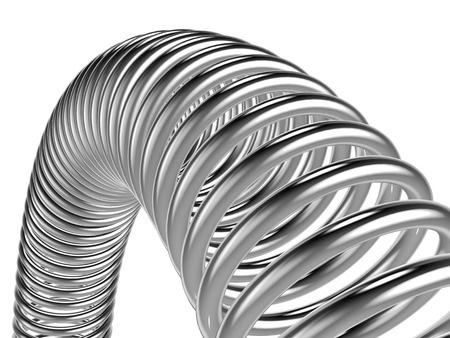 Designed with an impressive combination of high elasticity and tensile strength, spring wire from BS Stainless demonstrates superlative helix and cast charac­te­ristics and is strongly resistant to fatigue and corrosion. We can apply a standard soap coating where required for use in springforming machines and smaller diameters have a nickel-coating option. Extremely versatile, forming wire is available to purchase in large quantities from stock and can be tailored in various ways to meet specific customer requirements. The wire combines strength with pliability and can be supplied with several choices of finish, including electro-polishing quality (EPQ). Several profile shapes and strands are available as required. Highly ductile, cold heading wire has many uses and is especially popular for manufacturing bolts, screws, nails, studs, tie rods and rivets. With low magnetism and high resistance to corrosion, cold heading wire can be supplied with soap, copper and other metallic coatings.